Hosting a Skincare & Beauty Party is the best way to have friends, some nibbles and the Natural Skincare, Handmade Soap and Natural Mineral Cosmetics all at one time. Get to try any of the colours, feel the goodness of the Skincare. All you have to do is invite about 10 of your friends, some nibbles etc, have fun and relax. As a host you receive 15% of the total value of sales on the night to go towards your own purchases. For example $500 sales on the night will give you $75 worth of free products. Sound good? Hosting a parting is easy and fun, the products sell themselves. Because everyone can try the products on you can find your perfect colours. No more purchasing makeup or skincare and finding you don't like it after all. Try before you buy. You also get your products on the night* - no waiting for them to arrive days/weeks later when the excitement has warn off. 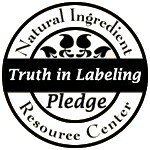 * - as all products are made in small batches availability will be determined by demand. Should we run out of a product on the night it will be a maximum of 7 days (normally 2-3) otherwise we will let you know. Your products will then be posted out to you (delivered if you are in Hamilton) free of charge. Want to become a Naturally NgaRoma Host? We are looking for hosts all over the country to show everyone how great Naturally NgaRoma Mineral Cosmetics & Skincare are. If you like meeting new people, love natural products then this could be for you. Its easy and you will have fun doing it. Host a party, email us the orders and we send them off within 2-3 days. Contact us for more information on becoming a host. * bookings must be made within 30 days of ordinal party.